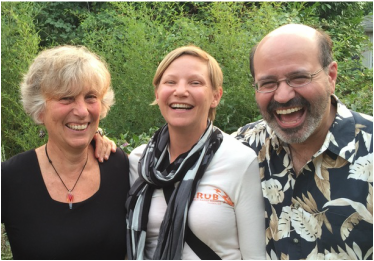 Margit here with a brief report from our recent one-day workshop with senior Waking Down teacher, Krishna Gauci, and his lovely fiancee and fellow teacher, Vivan Coles (in center of the photo, above). 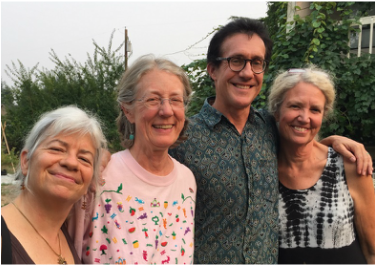 Kirstin Eventyr (on the right), was our generous mentor, helping hold space as the 11 of us local Olympians, including two newcomers to the work, journeyed into rich explorations of the consciousness dimension, as well as the energetic and body/individual dimensions of our Being. 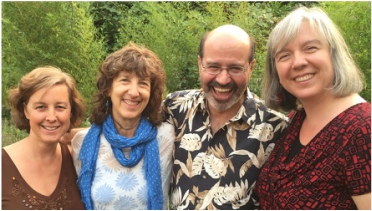 Thanks to Krishna and Vivian's great depth of experience and teaching skills, and through engaging dyad work and guided meditations, we discovered new territories together and integrated recognitions and experiences. Consciously turning towards our immediate experience, is loving it. This is an expression of the charity of consciousness; this is love. Consciousness is never "experienced," it is realized or recognized. There is no "thing" that is consciousness. Consciousness has no preference, no judgment, and is total acceptance of everything. This is and can be experienced as Love. Expanded "feeling energy" feels vulnerable. In Waking Down, the reason why mutuality works well is because it's safe enough to feel vulnerable. The consciousness principle helps us do that: no matter what happens [what discomfort arises], you are always more than anything that happens to you. Respect is Love on the individual dimension. Merging and 'being one with' is not really Love. Love also means to honor and protect the other's boundaries. Love is letting the Other be Other. Compassion is based on asking: "what is it like to be the other person?!" In the end what really matters is the capacity to weather the storms in life by resting in being and shining in Love. It's not always easy, and there are many things in our lives that we can't control, but the awakened life is founded in our capacity to ground in our deepest unchanging Being and hold ourselves and others in compassion. Practical teachings on how to use your attention to rest in being, and to include and hold yourself even as you are holding others. Join us for an experiential day of group sharing, guided mediations, dyads, exercises and teaching dialogue, as we explore and remember what is Always Free and bask together in the Grace of That, in Love. Earlybird deadline extended to Friday, August 7!! Prerequisites: None, newcomers to Waking Down are welcome! Kirstin Eventyr will be mentoring this event. Vivian Coles is a Waking Down in Mutuality Teacher and a licensed psychotherapist who has been assisting people through trauma and childhood issues for the past 20 years. 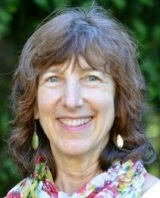 She has experience working both in the public sector and in her own private practice. 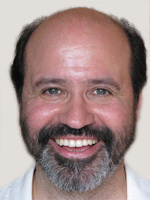 Vivian was active in the Advaita Vedanta community in the 1990’s. She first became involved in WDM in 2001. She has studied Somatic Experiencing, which she uses with her clients to help release trauma and with her Waking Down students to support embodied awakening.